To schedule an appointment with one of our associates, please contact them directly through the information in their bio. Diane Brady-Leighton, LICSW, has over twenty-five years of experience as a psychotherapist. Prior to working as a psychotherapist Diane worked in therapeutic recreation, which laid the groundwork for her whole person approach to care, and reinforced a deep value of the importance of play! She has been fortunate to have in-depth training with Jon Kabat-Zinn (Mindfulness Based Stress Reduction), James Gordon (Mind Body medicine), Geri Chavis (Poetry Therapy) and most recently The Partners in Resilience (Pathways to Resilience). Diane Brady-Leighton approaches her work from a foundation of respect for each person’s innate wisdom, and agrees with the poet Galway Kinnell that “sometimes it is necessary to reteach a thing its loveliness.” Diane has special interests in creativity, spirituality and movement which is why she is so thrilled to be an Associate of the Partners in Resilience and a facilitator of their Pathways to Resilience program which invites participants to such a full exploration of their lives – body, mind and heart. For more information on Diane’s practice, visit www.dianebradyleighton.com or call her at 612.806.4337. Rev. Catherine Duncan, MA, BCC, Integrative Spiritual Consultant. Catherine is passionate about whole person healing with a focus on emotional and spiritual health. With a reverence for exploring the sacredness and meaning of life, she companions individuals on their journey. She works extensively in chronic illness, life transitions, grief, loss and finding meaning and purpose. Catherine received her Master of Arts in Theology and Spiritual Direction Certificate from St. Catherine University in St Paul, MN. She also holds a Master of Divinity equivalency from United Theological Seminary in New Brighton, MN. Catherine is an ordained minister with the United Church of Christ and a covenant member with Plymouth Congregational Church. She is a board-certified chaplain, spiritual director, energy healer, and tapping (EFT) practitioner and works with mind-body therapies and aromatherapy. Catherine works with Newbridge Health and Wellness and also has her own private practice. She has served as a spiritual care provider with Fairview Home Care and Hospice, HCMC, and Good Samaritan. Catherine speaks on Resiliency, Self-Compassion, and Self- Care in the community. Catherine lives in Minneapolis with her husband and they have two adult children. Learn more at her website www.learningtolive.org. Jennifer Fallon, PhD, LP, is a Licensed Clinical Psychologist with an integrative approach, weaving mindfulness, health psychology, positive psychology, and her experience as a certified yoga teacher into her clinical practice. Jennifer aims to provide a very safe, nurturing environment for clients, in addition to incorporating recent research, such as utilizing empirically supported treatments and advances in neuroscience to facilitate optimal wellbeing and performance. She is also particularly attuned to cultural and societal factors in her work with clients, and to tailoring coping skills and resilience strategies as appropriate given each person’s unique matrix. Jennifer has a private practice in Southwest Minneapolis where she provides psychotherapy and yoga for adults and older adolescents, individuals and couples, often with her psychologically astute dog. She also greatly enjoys being a facilitator in the Pathways to Resilience Program. She can be reached via her website, drjenniferfallon.com, via email at Jennifer@drjenniferfallon.com, or by phone at (612)524-5834. Tom Glaser is a masters-level licensed psychologist with over 30 years of experience. His passion for for health and wellness began in his teens, paving the way for the holistic, integrative approach he brings to his work and personal life. Buddhism and Native American spirituality are also strong influences, and he teaches on topics including mindfulness, sexuality, positive psychology, and emotional intelligence. He works with individuals, couples, and groups. “While virtually all populations intrigue me,” he says, “I hold a special place in my heart for members and allies of the LGBTQIAP2S+ communities, highly sensitive people (HSPs), minority groups, artists and other creatives, and those with active spiritual lives.” Tom is author of Full Heart Living: Conversations with the Happiest People I Know, an Amazon.com bestseller. Whether counseling individuals or groups, hosting podcasts, or teaching, his passion for helping people live their best lives flows through. For further information visit www.tomglaserLP.com or www.fullheartliving.com. Amber Pone, LICSW. With 14 years of experience, Amber practices a blend of mindfulness, person-centered, and cognitive behavioral approaches. She uses spirituality, creativity, humor and problem-solving to guide clients through life transitions, anxiety/depression, and relationship difficulties. While her approach is practical for everyday life, Amber feels passionate about helping clients look at self-limiting beliefs and coaching and supporting as they find new ways of relating to themselves and others. In addition to general therapy, Amber has extensive training and experience in pregnancy and postpartum mood issues, pregnancy loss, infertility, and maternal mental health. To schedule a consultation please email amberpone@gmail.com. Sandra Shallcross, PhD, LP, uses an integrative approach, rooted in mindfulness, neuroscience, cognitive-behavioral, and narrative perspectives. She provides psychotherapy for individuals and couples in her private practice, specializing treatments for trauma-related concerns, anxiety, relationship difficulties, and insomnia. She also offers wellness consultation, training, and workshops in a variety of settings locally and nationally. Sandra is committed to providing highly effective interventions, grounded in the best scientific evidence available. From this foundation, she works holistically, looking beyond salient problems or diagnoses and into the larger context of clients’ lives for sources of strength and resilience. To find out more or to reach her directly, please visit DrSandraShallcross.com. 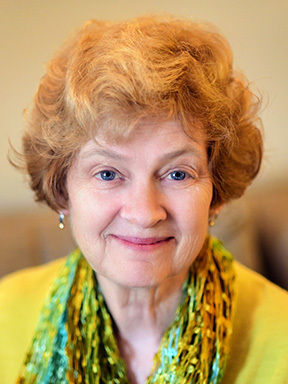 Jan Swanson, Psy.D., LP, ABPP, FAIHM, has devoted her professional life to the integration of body, mind, spirit approaches in psychotherapy and teaching. The foundation of her work is informed by mindfulness, resilience and capacity for change in the human spirit within a collaborative approach. Integration is a chosen perspective dedicated to gathering from many sources of knowing, weaving and re-weaving them together with the intention of inviting personal wisdom, health and healing to evolve. To schedule a consultation, please email jan@swansonus.com. Carol Wichers, MA, LICSW, LMFT, is a licensed psychotherapist with 40+ years experience working in a variety of settings, community mental health, inpatient mental health treatment and for the past 30 years, private practice. She has immersed herself in a wide range of disciplines but what have been the most influential are the teachings that are Mindfulness based. She has trained intensively in mind-body (somatic) practices while also exploring AEDP. She also sees couples and families and trained with Sue Johnson in the attachment based model, Emotionally Focused Therapy. She has participated in the PIR program in mindful based practices. She has also provided consultation and supervision to health care providers, schools and mental health centers. “I work with a wide variety of issues but I have significant experience working with people in recovery and co-dependency. I believe we all have the same goal, which is to be deeply connected to the people who are most important in our lives. My job is to help you find your own path towards intimacy with self and others. I work to provide a safe, nurturing environment that is focused on exploring obstacles that interfere with establishing trust in one’s closest relationships." Carol has special interests in poetry and creative expression. She is also a student of Buddhist practices and has found a true home at Partners in Resilience. To schedule a consultation, please email carolwichers@gmail.com. Jenny Wilson, MSW, LICSW, is a licensed independent clinical social worker who specializes in traumatic grief and loss, anxiety and PTSD. She is an EMDRIA Certified EMDR (Eye Movement Desensitization and Reprocessing) Psychotherapy Clinician and is also trained in Sensorimotor Psychotherapy (Level I), an integrative therapy that helps clients strengthen their somatic resilience. Jenny draws upon the latest research in neurobiological and attachment theory in her work and also incorporates mindfulness-based interventions with all clients. She believes that the pathway to resilience involves an uncovering of one’s true self — a reconnection to the core part of us that is our birthright. Prior to her work as a psychotherapist, Jenny enjoyed a career in social work; first as a caseworker and later as a program director for a local non-profit. Prior to starting her private practice, Jenny was on staff at the Center for Grief, Loss and Transition in St. Paul. For more information on EMDR and Sensorimotor Psychotherapy visit emdr.org and sensorimotorpsychotherapy.org. For more information about her work, please visit jennywilsontherapy.com.